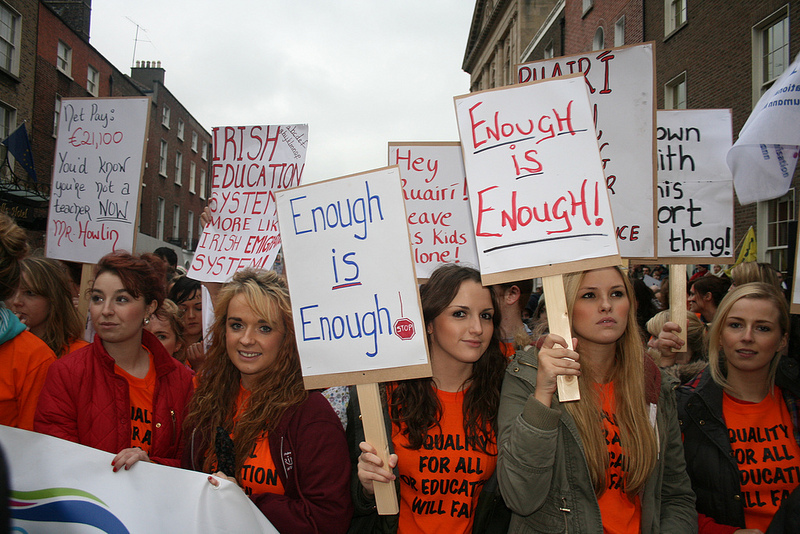 Student teacher’s NQT’s and their colleagues marched in solidarity from O Connell Street to the gates of Leinster House in protest against education cuts and Separate Salary Scales for NQT’s. 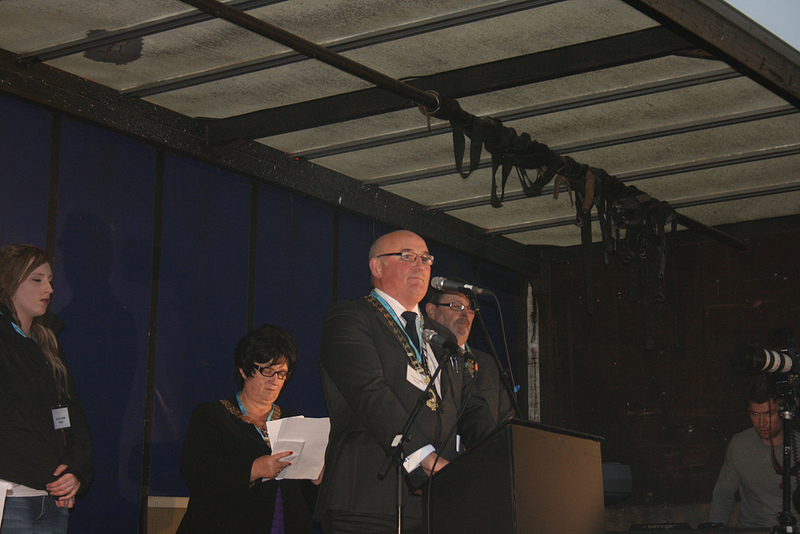 Several high profile speakers were in attendance including Gerry Breslin president of the Association of Secondary Teachers in Ireland (ASTI) and Gerry Craughwell president of the Teacher’s Union of Ireland (TUI). They led the crowd in heartfelt, poignant and passionate speeches praising the ongoing work of Student Teachers and NQT’s and lambasting the Irish Government for its decision to cut education budgets. Breslin labelled Education Minister Ruairí Quinn the “Minister for Shrinking Resources” and warned that it will be the vulnerable children who suffer as a result of education cutbacks. He also made the point that permanent teaching jobs are relatively nonexistent and hundreds of young NQT’s are forced to emigrate overseas to secure a stable job position. 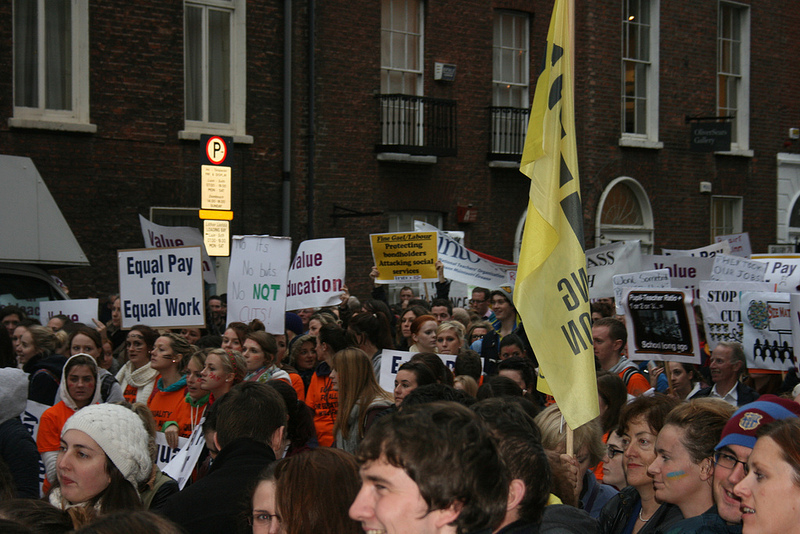 TUI president Gerry Craughwell began his speech by acknowledging the various placards held by the protesting students. Craughwell then wished to remind Minister Quinn that his party (Labour) was founded on the backs of Workers and Trade Unionists in this country.